Product prices and availability are accurate as of 2019-04-24 16:13:14 UTC and are subject to change. Any price and availability information displayed on http://www.amazon.com/ at the time of purchase will apply to the purchase of this product. We suggest comparing it to a bag you already own to make sure it's the size you want! 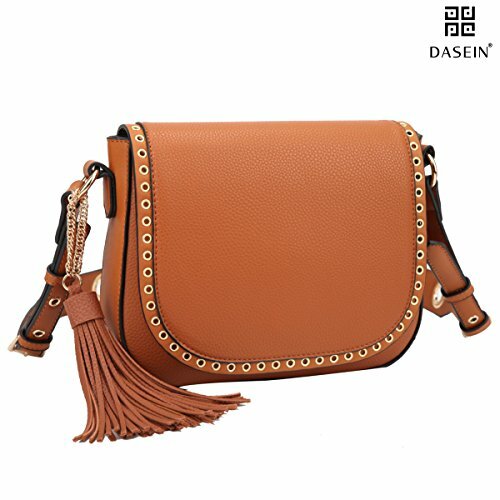 100% money back guarantee on all Dasein branded handbags within 30 days of purchase, for a truly risk-free shopping experience. 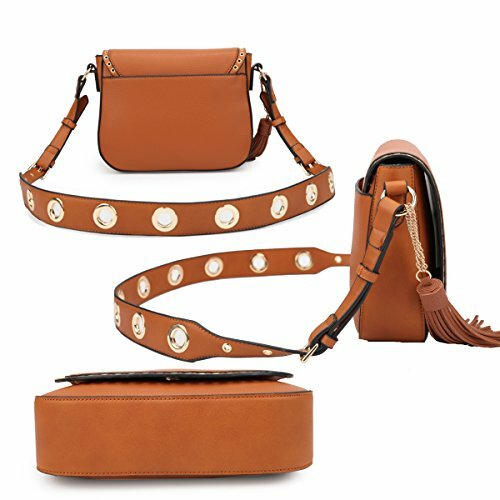 MATERIAL: 100% vegan PU leather with pebble textures. No animals were harmed. 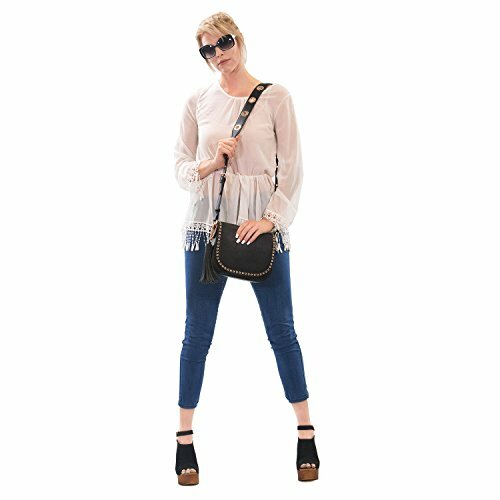 Eco-friendly handbags for women DIMENSIONS: 10"W x 8"H x 2.5"D inches. 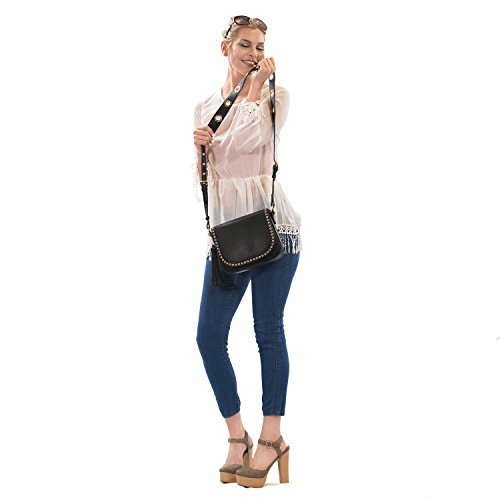 Shoulder strap is long enough for a crossbody bag. 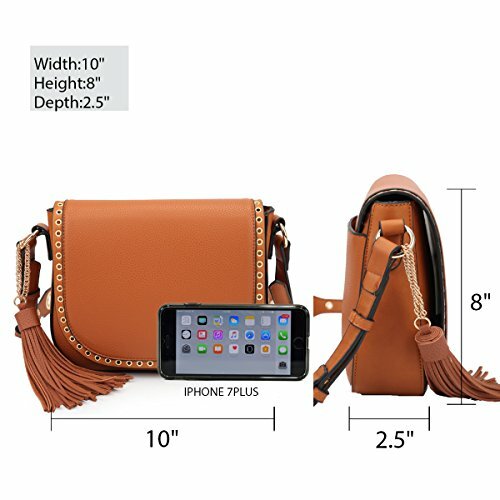 We suggest comparing its dimensions to a bag you already own to make sure it's just the size you want! DETAILS: Gold tone hardware and top zip closure. Front flap with a magnetic snap closure. With 2 interior open top item pockets and 1 interior back wall zipper Pocket. DESIGN: Grommet shoulder strap and front grommet around design. 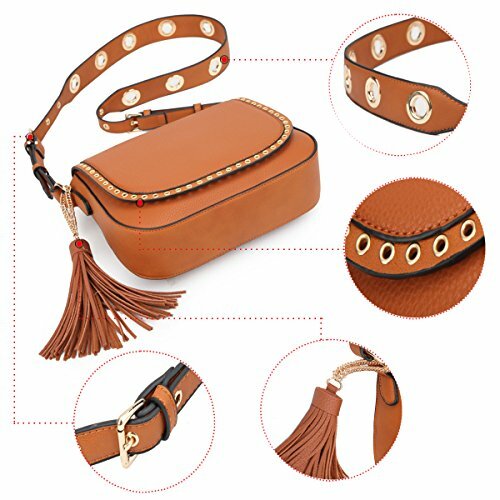 With fashion style and roomy inside.Detailed with a beautiful matching fringed tassel. AFTER-SALE SERVICE: If broken, damaged or wrong items received, just contact us (the seller) and send us a picture, we will full refund or resend a replacement bag / matching part ASAP. If you're not satisfied for whatever reason within 30 business days of the delivery date, we will accept your return request, refund upon returned item.